Large keepsake mason jar of blooms with wood slice message tag. 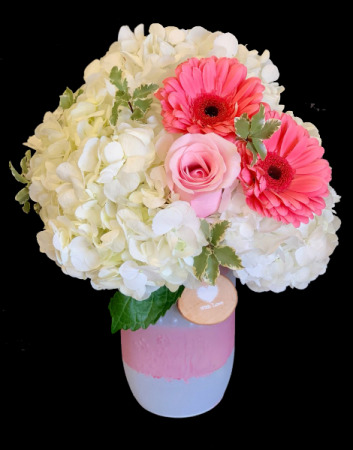 Featuring jumbo white hydrangea, pink roses, Dutch gerber daisies,and carnations. Can of soda with a box of M&M's. 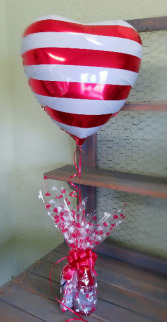 Includes mylar balloon. 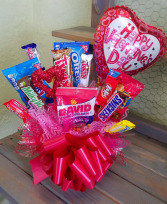 Large candy bouquet in keepsake tin container. Featuring snacks and small and full size candy bars.